It's beautiful your Prada bag.But I love much Balenciaga:).You look great!!! Love the dress:) and that bag is to die for! OMG... I just loved that red Prada purse!! the leopard print dress is subtle yet very special!!! love it! a wonderful dress! and I adore animal print too! Very pretty dress and bag! i also LOVE your new Prada bag---very nice Valentine's day gift!! If I were you, I wouldn't give up wearing animal looks, either! You look amazing with them, no matter what PETA has to say about it! I love the dress, bag and shoes! Perfect outfit. 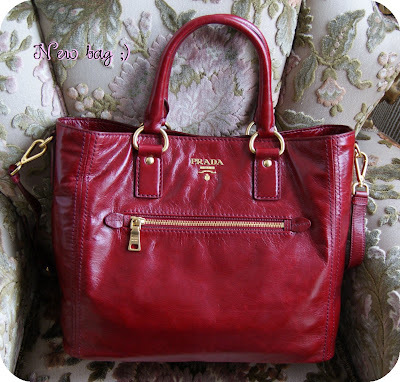 Super beautiful Prada bag! Love it! I don't like Valentine's day, I have more special days throught the year such as my wedding anniversary and I also think that my man should love me every day and try to surprise me and be romantic without a calendar day reminding him about it. Your bag is awesome... really love the style...! dear lovely vale or valentina, i agree that you should try to show your love with whoever you love, whenever you can. i also think that valentine's day can be a lot of pressure for some people who are either coupled up, or single. you have some very good advice. :) i have a friend who adores valentine's day, & she goes all out every year for her favorite holiday. your new bag it's just amazing! and I adore your look, really nice. I dont mind all the animal prints! They look great! Regardless is I was single, or married I still love Valentines Day! Its cheesy yes, but it brings a smile to my face! Ciao Vale, hai fatto bene a regalarti la borsa in anticipo ;)!!! E' vero san Valentino va festeggiato tutti i giorni ma è anche ovvio che non tutti i giorni si possono fare cose speciali! Bellissima la borsa e bellissimo l'outfit! hai proprio ragione su San Valentino! Adoro la Balenciaga, anche la tua nuova Prada è stupenda!! I Follow you on bloglovin' follow me on bloglovin. Woow, you look awesome. Love the dress, animal print rocks! And your new bag is beautiful, love the colour! Thanks for visiting my blog and yeah, let's follow each other! Thanks for the great tips. Hubby and I certainly like to snuggle up together and watch romantic movies. I like your leopard outfit. Hello Vale. Thanks for visiting my blog. Your blog is beautiful and very original, congratulations! Wow! Your outfit is amazing, lovely dress yours. I really liked your Prada purse.It's beautiful! Kisses for you! Muito linda a sua produção. Amei a estampa animal print. Muito bonita a bolsa vermelha da Prada. Também acho que um casal deve tentar ser romântico todos os dias, e não apenas no dia dos namorados. Estou seguindo aqui e curti sua página no Facebook. You look great and I'm so jealous of your beautiful prada bag! I'd love to follow eachother, I'm now following you! You have a good idea for San Valentino. adoro la borsa ma non mi convince il leo! Troppo! Is beautiful prada! i like this! Love your justification ;) A great one-year of your blog gift to yourself and definitely better than red roses! Gorgeous bag! thanks :) i like your blog! Thank you, those dresses are really nice! This look is gorgeous! I love print it is never out of fashion. And I am adoring that bag!!! Vale, you look absolutely stunning in this outfit. So sophisticated, chic, and glamorous... I wish I could go for a shopping spree in your closet! :) Adore this amazing dress/cardi and I love your new Prada bag! Perfection! That Prada bag is sooo beautiful <3 Amazing outfit, I love leopard prints! I looove your outfit! Love animal prints! I just started to follow you! I would be so happy if you'll follow me back! I love the animal print.... especially loved it paired with red shoes and a red lippi... perfect Valentines Day! love it! the bag is amazing too! I understand you... I'm a lover of animal prints too! Oh, love your dress! And the prada bag is just very very gorgeous! Your blog is really great! Estás guapísima y el bolso es divinooo!! Thanks so much for visiting my blog so that I could find yours! I'm a new bloglovin' follower! I love animal print & that red Prada bag is AMAZING! Ciao!Sono venuta come detto!Mi piace molto il look animalier,è molto versatile,può essere forte e anche elegante oppure casual! I followed you can you follow back please? You look's gorgeous, kisses doll. you look fabulous with the leopard print. Oh and I LOVE the name of your blog! I LOVE cookies and I LOVE fashion! It's perfect! Thank you so much for sharing your blog with me and for leaving a comment :) I always appreciate hearing from other bloggers! I would just like to say that I saw your Balenciaga bag and I died... I used to have a fake (wahh) of the motorcycle bag in lime green... I think it is my favorite purse style I have found yet... So jealous you have the real thing!!!! Grazie per il consiglio, e sono davvero combattuta sulla scelta tra i due modelli di scarpe! Alla fine li comprerò entrambi, lo so già ahhaha Complimenti davvero comunque per l'acquisto: quella borsa è favolosa!! Ed inoltre quel vestito ti sta davvero bene, bellissimo anche il taglio che ha! 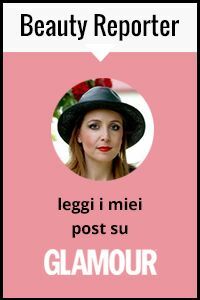 Ti seguo da subito, mi piace molto il tuo stile! Se ti va di ricambiare ne sarei felice! Love that jacket and your new bag is to die for!! Check out my latest post today and tell me what you think if you have the time! Thanks, love! beautiful dress,the bag is cool,nice. Hey, thanks for visiting out blog. Were following you now. Your dress is amazing, you look fantastic! i have serious bag envy! that prada is amazing... and you look beautiful in your dress! I am so in love with your fab shoes and your gorgeous bag.